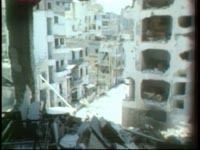 Summer 1982, Beirut during the Israeli invasion. The Lebanese and Palestinians tell the story of a city that is vanishing, far removed from slogans and extremisms. The so-called MENA region and the "Arab Spring"